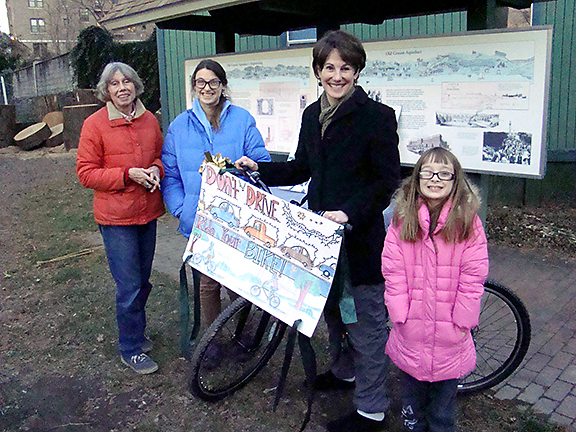 On the blustery morning of Saturday November 22, friends volunteers gathered to pick the winner of our 2014 bike raffle out of the jar. 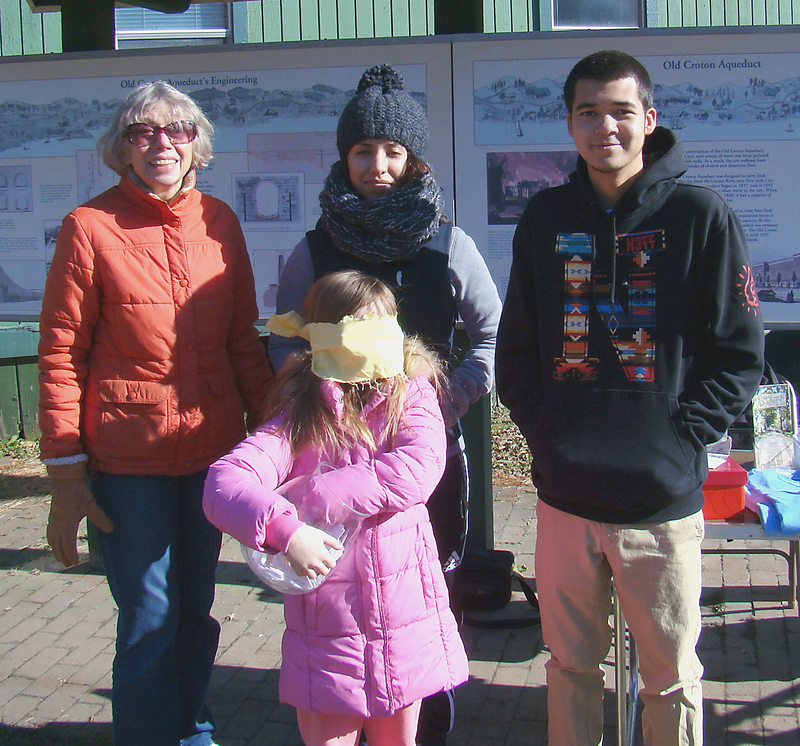 A blindfolded Lucy Warner, 8, of Dobbs Ferry reached into the jar and selected the ticket of Dana Rubin of Irvington. A long-time Friend of the Old Croton Aqueduct, Dana is an avid trail walker. "I'll have to start riding now!" she said, delighted with her unexpected win of the hybrid trail bike from Endless Trails Bikeworx.